this is such a great read for anyone who thinks they have read it all about the hiding and care of refugees who were being sought by the Nazis. It is no fairytale story - it really happened - over 300 people were saved while being hidden in a zoo in Warsaw! Hiding many of the survivors in animal cages, the Zabinskis and those who helped in their compound, actually put themselves in grave danger. The book details the lengths good people will go to help others - all in the name of human decency. 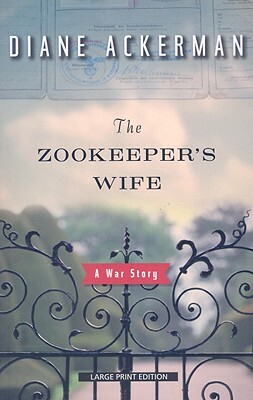 A true story--as powerful as Schindler's List--in which the keepers of the Warsaw Zoo saved hundreds of people from Nazi hands.